Do you remember when executive cars we driven by properly executive people? Blokes in baggy suits with large ties holding leathery breifcases. Women in skirt-suits with shoulder pads and perms. All driving up and down the country selling carpets and printer ink. Those were good times, weren't they? Of course, with the internet and mobile phones there's much less of that sort of thing these days. Interestingly, the focus of today's rewind Wednesday was our favourite executive car when the downfall of these motorway-warriors was just beginning. Indeed, the E34 BMW 5 Series was Lombardyexperience? 's preferred executive in both 1989 and 1990. 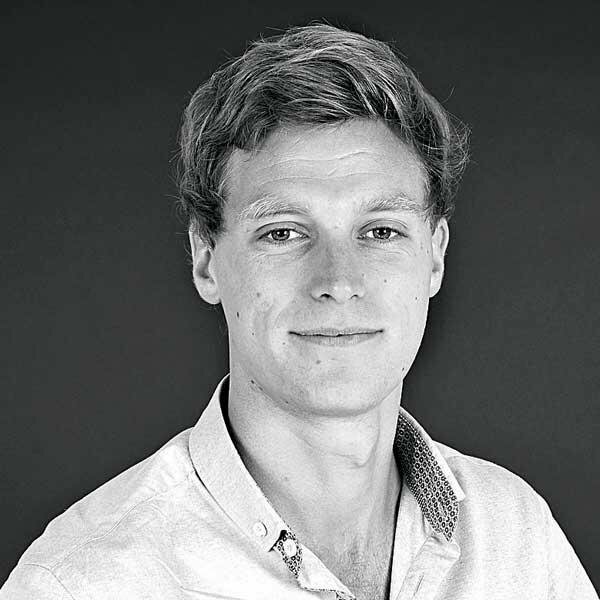 The same time Tim Berners-Lee was busy programming the first ever web browser over in Switzerland. And, by chance, Tim Berners-Lee and the 5 Series you see before you have something in common. Yes, really. You see, Tim's from my home town in Dorset, while the E34 pictured was my very own car. So, although I was lying on my back in a crib making gurgling noises in 1989, I can tell you what it's like to own an E34 today. BMW's thrid-generation 5 Series was a real leap forward from the previous E28 model. It looked far more modern and butch for starters and there was a huge amount of choice on offer for buyers: four, six or eight-cylinder engines were up for grabs in petrol and diesel forms and with manual and automatic gearboxes. This was the first 5 to feature all-wheel drive with the 525iX model (the rest were rear-drive) and a bigger-booted Tourer estate model followed the saloon. 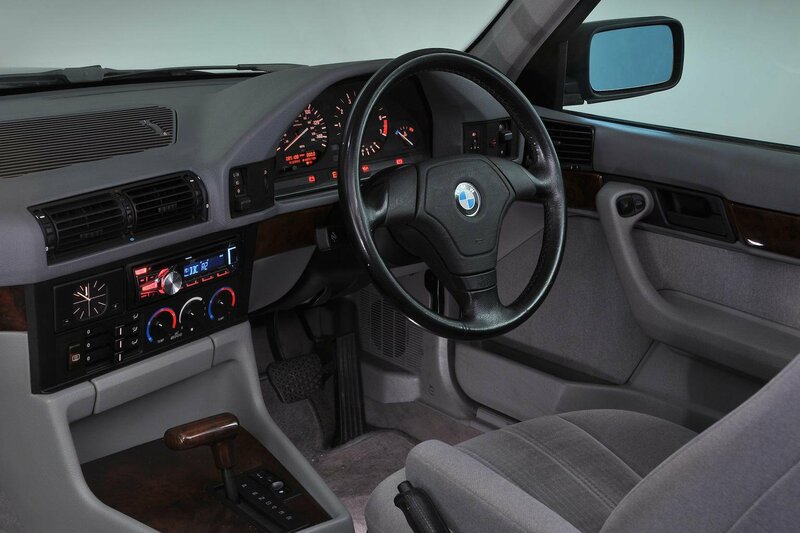 And although they never made their way to the UK, the E34 was also offered as a natural gas model in Germany, called the 518g, while the 518iev was a hybrid version which combined a four-cylinder petrol engine and battery packs. OK, so the latter never made it past the prototype stage, but this was some seriously forward-thinking stuff for the mid-90s. At the other end of the scale was the E34 M5, which was first powered by a 311bhp 3.6-litre straight-six petrol engine, but was later upgraded to a 335bhp 3.8-litre, when it could sprint to 62mph in 5.9sec and was electronically held back at 155mph. Unlike the M5s of today, this range-topping E34 was available in both saloon and estate bodystyles. But there was only one version that was good enough for our Executive Car of The Year in 1989 and 1990, and that was the 525i SE. 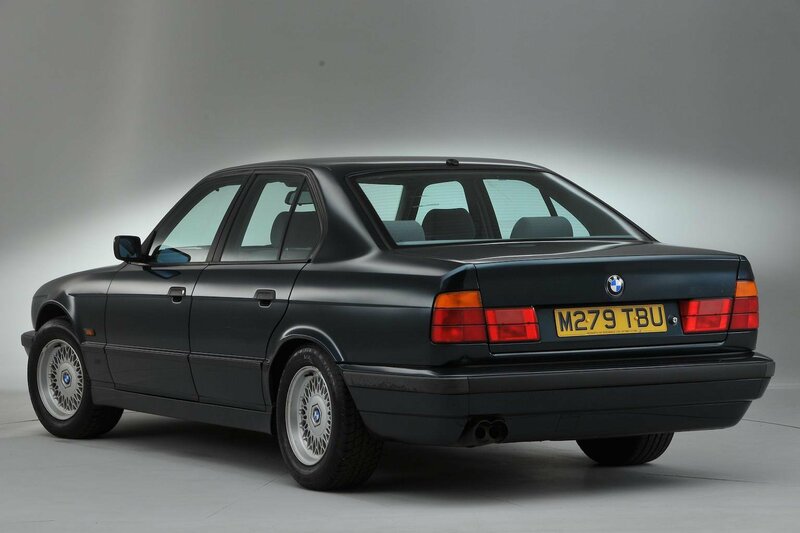 Like the E34 M5 it also had a straight-six petrol engine, but one which produced a more sedate 169bhp. In fact, we said "despite some impressive weight saving on the bodywork, the smooth 2.5-litre straight-six engine has to be worked pretty hard in order to extract the best performance." However, there was plenty that was positive, including the car's advanced electronics for the time, including "an on-board computer (which) not only controls engine management and a host of other running functions, but also monitors and records faults that it 'confesses' to the main dealer computer when it goes in for a service." SE trim was good enough for us, although we thought "a Special Equipment package, that has proved so popular in the UK" was worth adding, as it "lifts the car up into contention with Jaguar and the bigger Mercedes models." 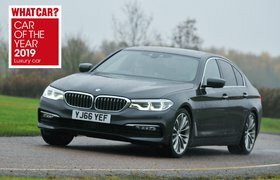 It was all good enough for the E34 to see off some of the biggest names in executive motoring at the time, including the Alfa Romeo 164 Lusso, Rover 827 SLi, Honda Legend, Mercedes 260 E, Saab 9000i, Vauxhall Senator 2.5i and Ford Granada 2.4i Ghia. What a fantastic list of retro motorway barges that is. Confession time. The car we tried was actually a 520i, but in our defence that isn't too far from the 525i model we gave our awards to. It still has the same basic straight-six petrol engine, albeit with a slightly smaller capacity. 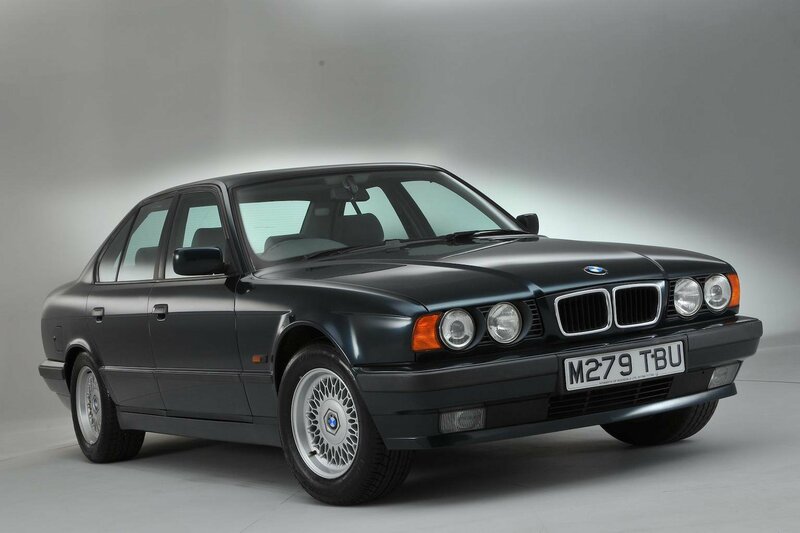 However, ours was a later 1994 520i model which got slightly more power than the first 520i cars at 148bhp, so it wasn't too far off the punch of the 525i. Still with us? Just know it's amazing how the E34 manages to feel quite so modern, even after driving the executive saloons of today. 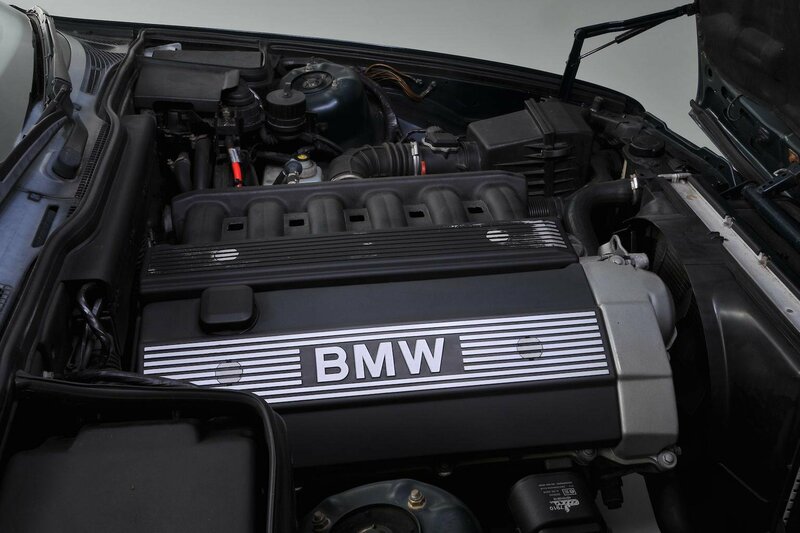 OK, so our observation back in 1989 that the engine needs to be worked hard in the 525i also rings true with the 520i, but it's a fantastically linear, super-smooth power delivery. The engine loves to be revved and you won't mind doing so, because the muscular rasp it emits is addictive. The E34's ride and handling feels distinctly modern, too. Sure, there's slightly more body roll than in modern exceutives, but its steering is nicely weighted and precise and it feels stoutly comfortable changing direction at speed. It feels tidy to drive in 2018, so it must've felt downright agile back in the day. And that doesn't come at the expense of ride quality, because in town there's good control, while at motorway speeds it still shows superb stability. 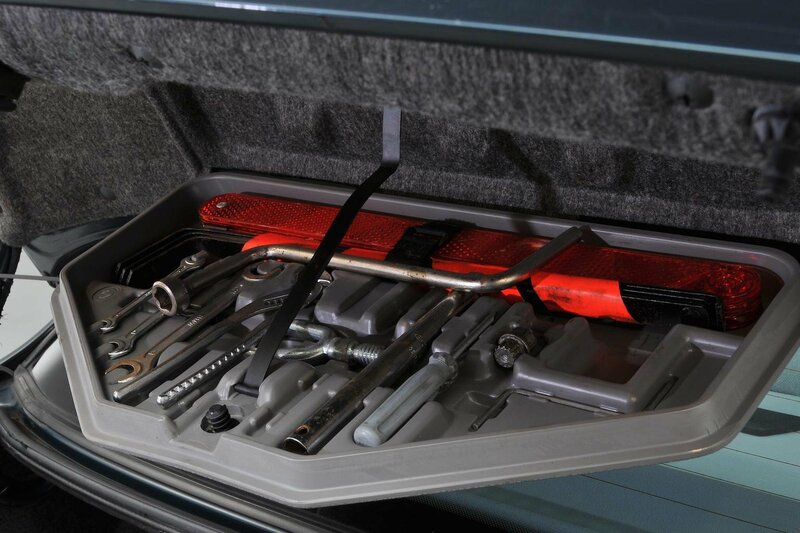 Of course, inside things are lagging behind on the space, practicality and quality front. The driver doesn't get much seat and wheel movement, rear adult passengers will find their knees shoved into the front seatbacks and the plastics on show are dull and pretty low rent. But that's all by the standards of today, and there's no arguing with the solid build quality - our 24-year-old car didn't have a single rattle or squeak.